Like most things on the internet, collecting credit card donations online has gone from an emerging and novel idea to a must-have in a very short period of time. To integrate your online form(s) with Salesforce, you need to have the provider form communicate not only with the payment gateway, but with Salesforce, as well. The form collects the data, passes the transaction to the payment gateway, receives the result of the transaction, and then inserts the data into Salesforce. 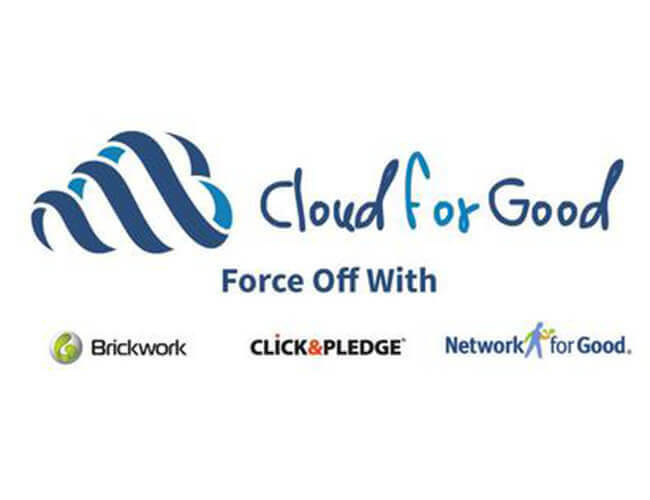 To help you evaluate the various online donation tools available on the Salesforce platform we hosted a Force Off featuring iATS Payments/ Brickwork, Click&Pledge and Network for Good. All three application providers presented their online donation tools to a very well attended group of nonprofit professionals. Each presenter was given twelve minutes to give an overview of the company represented and a demonstration of the product. The remaining 15 minutes of the presentation allowed the presenters to answer questions from those in attendance. Many questions came rolling in via email after the webinar. The most popular question was around pricing. You asked and we found the answer! Below is additional information on each provider and a breakdown of fees charged for each donation tool. Click&Pledge platforms are free to all of their clients. Platforms include payment and donation processing, mobile giving, and managing donors and events through Salesforce. Additional information about their platforms can be found here. The fees listed above are for 2015 and are subject to change. Additional pricing information for Click&Pledge can be located here. Click&Pledge can be found on the AppExchange. iATS Payments offers integrated payment processing services collecting both credit card and ACH payments. Additional information about their offerings can be found on their website. The fees listed above are for 2015 and are subject to change. Please contact iATS Payments for additional pricing information. iATS Payments is located on the AppExchange. Network for Good offers multiple online fundraising services to nonprofits. Online donation pages, email marketing and fundraising event management are all offered by Network for Good. Additional information can be found here. The fees listed above are for 2015 and are subject to change. Additional pricing information for Network for Good’s Donate Now and can found on their website and Social Fundraising package pricing is located here. Network for Good can be found on the AppExchange. If you missed this lively Force Off, don’t fret! You can watch the record webinar below at your leisure. We encourage you to frequently check Cloud for Good’s upcoming webinar schedule and register for all that are of interest to you. Merchant Accounts, Payment Gateways, Virtual Terminals, Oh My!